The Arabian oryx was one of the earliest semi-domesticated animals. Herds were kept in ancient Egypt, and oryx meat was apparently a regular food item of Solomon's household. The species also appears in Roman mosaics and Juvenal records that gourmets approved its meat. Oryx horns have had a phallic significance for many cultures and are sought after as charms. The legendary unicorn was possibly based on the Arabian oryx. 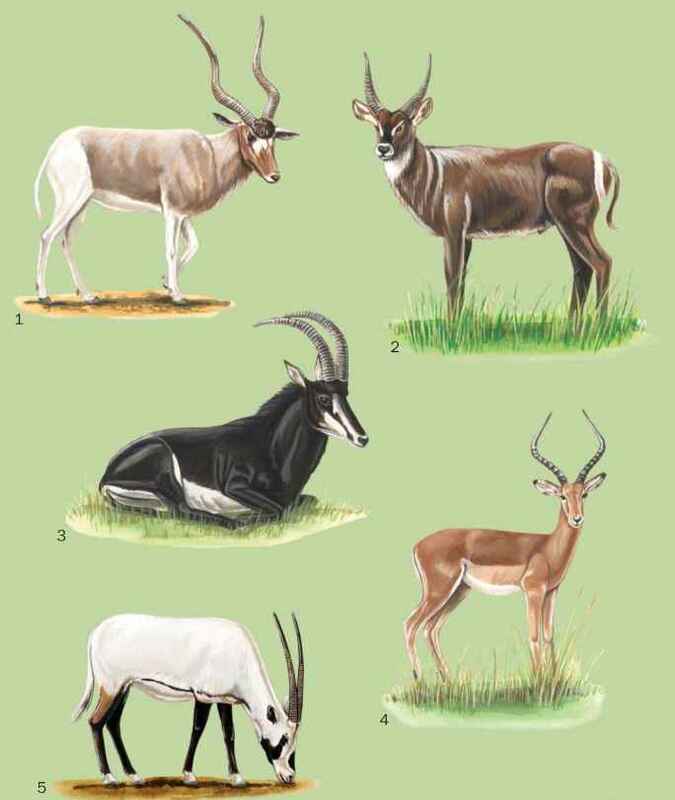 Addax were also kept in large numbers in ancient Egypt. They were stabled, fed from troughs, led on a bridle, and were probably slaughtered for ceremonies. The ancient Egyptians are also said to have domesticated hartebeest, but probably not particularly successfully, as in captivity this animal is difficult to breed and is aggressive. In some parts of Masailand, East Africa, blue wildebeest were formerly captured as calves and run with cattle, while lactating females were used to feed cattle calves and thus save cows' milk for human consumption. In East Africa, young bo-hor reedbuck are sometimes reared in captivity and herded with goats. 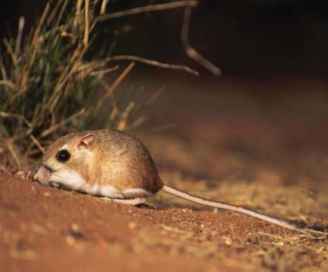 Hippotraginae species have always been hunted for their meat, hides, and horn by the indigenous peoples of Africa and Arabia. 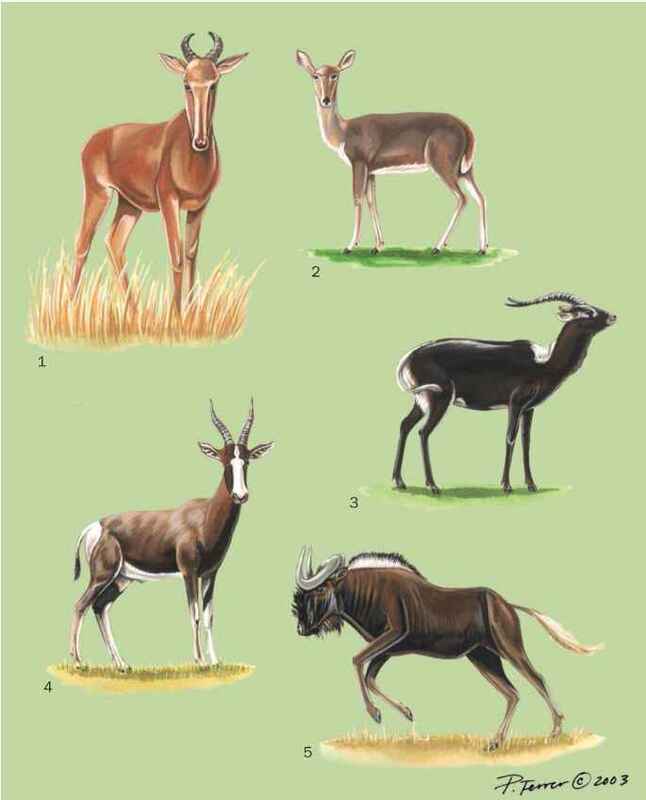 The more recent history of these antelopes has been one of increasing persecution and elimination, not only by subsistence hunting, but also for sport and trophies, and because they potentially compete with expanding agriculture and human settlement for habitat. The diet of the Alcelaphini and of cattle is broadly similar so that these antelope have come to be regarded as competitors for grazing land, and populations have thus been persecuted and often largely exterminated as a result of livestock expansion. Large populations of kob and other reduncines are unlikely to survive unless their potential for sustained yield cropping is realized. The kob is especially suited to this, while the topi can coexist with cattle after the carrying capacity for livestock has been reached and thus has potential for multiple land-use. Impala, which are numerous on many cattle ranches, are commonly cropped for their meat and hides. Hippotragine antelopes are very popular in zoos and on farms and ranches, and such institutions have played a great part in maintaining captive populations of several endangered species and in building up stocks for reintroductions.